Mark’s maritime career commenced in the ship agency, terminal operating and stevedoring industry sectors; later managing a division of Sea-Land Service operating project cargo vessels and later opened his own new companies operating foreign flag chartered vessels as well as owning & operating U.S. Flag break-bulk/container vessels. He is the Founder & Managing Member of Maritime Transport & Logistics Advisors, LLC (“Maritime Advisors”), a consulting group of well-known hands-on experienced professionals with diversified maritime transportation, logistics and corporate expertise. Mark is also Founder, President and CEO of Intermodal Marine Lines, LLC, a company in partnership with STX Canada/US that has developed and designed a new Enhanced Dual Use RoRo vessel for the U.S. Navy/MARAD Dual Use RRF replacement program. Mark’s companies have provided consulting, research, analysis & advisory services to the commercial maritime transportation & logistics industry, as well as to government agencies, Port Authorities and the financial industry; the company has assisted in new company start-ups; business development, feasibility studies; government & labor relations; financial analysis, financial modeling, business plans & logistics advice, ship design development and are well known nationally for their work in America’s Marine Highways/Short Sea Shipping. 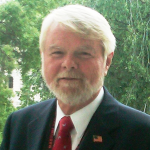 He has been a consultant to the U.S. Maritime Administration’s (MARAD) Short Sea Shipping Initiative; former Chairman & Founding Member of the Marine Highway’s Cooperative and now Chairman of the Ship Operations Cooperative Program (SOCP) Marine Highways Working Group; active member of the Coastwise Coalition in Washington, D.C.; Associate Member of the American Association of Port Authorities (AAPA); Committee; member of the Florida Maritime Leadership Coalition and a number of other maritime transportation organizations and associations. Mark is frequently invited to speak at industry conferences and seminars addressing America’s Marine Highways; has participated in a Congressional Transportation & Infrastructure Committee Short Sea Transport Roundtable held in Washington, D.C. June 18, 2008; In February, 2007, he provided testimony on “The Development of Short Sea Shipping in the U.S.” to the Congressional Subcommittee U.S.C.G. and Maritime Transportation, Committee on Transportation and Infrastructure, Washington, D.C. – a hearing that led to inclusion of SST provisions in the Energy Independence and Security Act that was signed by President Bush, December, 2007. He was an invited presenter and participant in the two NSRP Hosts ‘Shipbuilding Opportunities In Marine Highways’ Workshops and recent invited speaker and panelist at the First U.S.-Europe Marine Highway Workshop – at George Mason University July 26-27, 2011 and keynote speaker at the International Short Sea Shipping Conference in Portugal, April, 2012 and others. He is co-author of a number of white papers on Short Sea Shipping as well as a technology paper for ballast water treatment – a paper which was selected by the IMO for presentation at a ballast water symposium in London. His company, “Maritime Advisors” has been featured in the Journal of Commerce, Florida Shipper, Logistics Today, Seaports Press Review, American Journal of Transportation and other industry media being referred to as a “nationally recognized expert in short sea shipping” in the United States. Some of his company’s recent projects include – Foreign Case Studies of Ship Designs for the National Shipbuilding Research Program (NSRP); short sea financial route modeling and route identification for clients; operational advice for new short sea vessel designs; competitive analysis for new coastal and international services; extensive study for MARAD on Short Sea Shipping in the European Union; developed a unique Short Sea Shipping Probability Decision Tool which was honored by the Transportation Research Board (TRB) for presentation at the TRB’s 2006 Annual Meeting – “Meet the Author’s Session” in Washington, D.C.; produced a Short Sea Shipping Probability study for Port Canaveral; and a panelist addressing Short Sea Shipping at the TRB’s 2008 Annual Summer Conference.